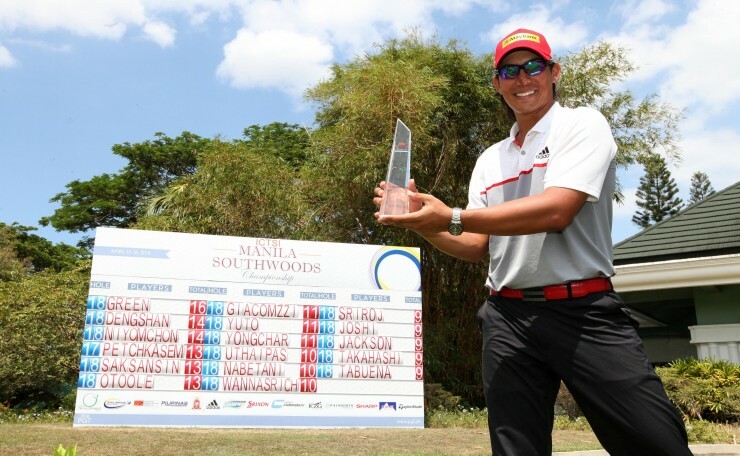 Malaysia’s Gavin Green proved his rising star credentials once again when he closed with a six-under-par 65 to win by two shots for his third Asian Development Tour (ADT) title and first outside of Malaysia at the ICTSI Manila Southwoods Championship on Saturday. “This win means a lot to me. I have been working a lot with my coach Chris O’Connell and I am glad to see improvements. This win also came at the right time for me as I am heading to Japan for the Asian Tour event next week. Hopefully I can continue to do well there,” added Green, who rose to second place on the ADT Merit rankings with a current haul of US$25,161.